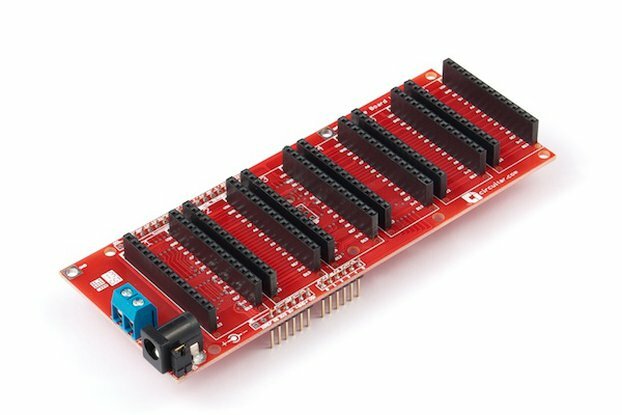 The Base Boarduino is an Arduino-compatible microcontroller board that doubles as a motherboard with six Nanoshield slots. 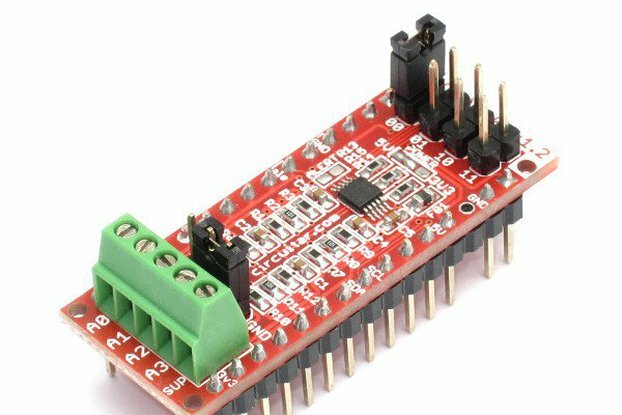 The onboard microcontroller is an ATmega328, the same as the one in the Arduino UNO. 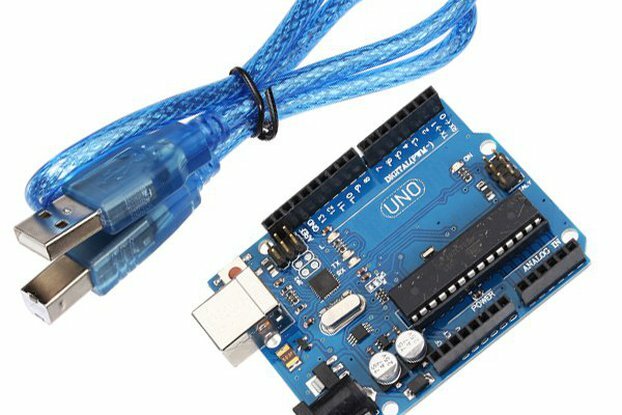 That allows programming through the Arduino IDE just like other Arduino boards, with the help of a huge online community. It includes a USB interface with a micro-B connector, so you can use the same cable as the one included in most mobile phones to connect it to your computer. 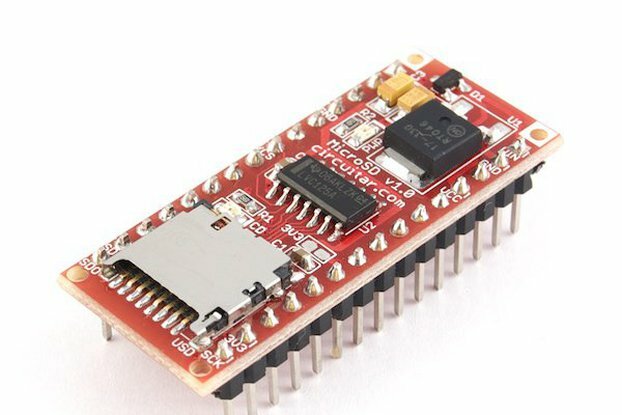 Also, the Base Boarduino uses an FTDI USB-to-serial converter chip, which avoids many problems setting up software drivers in your computer. 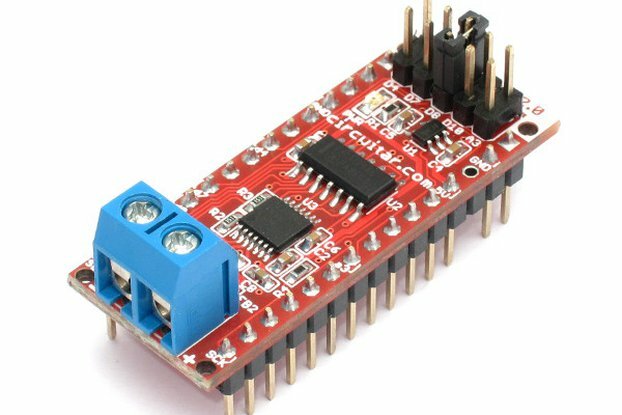 The board also offers short-circuit protection on the USB port, so you don't risk frying your computer's USB port if you make a mistake in your circuit. 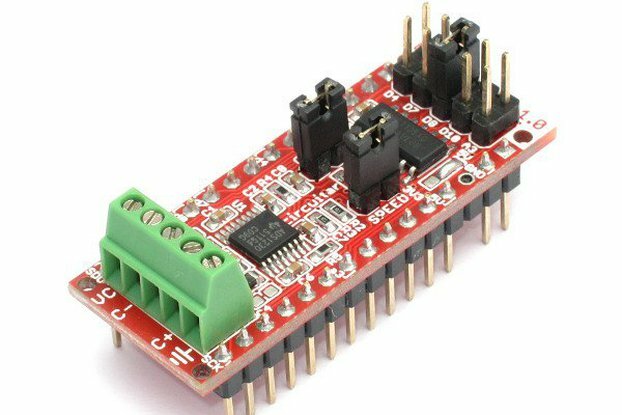 The external power supply input is also protected against reversing the input polarity, reducing the risks to damage the board when making a wrong connection. 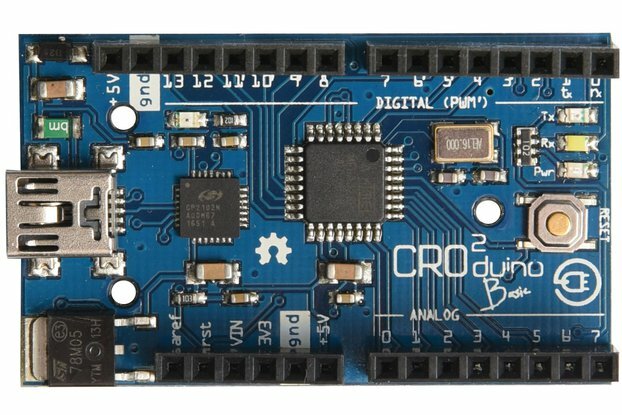 The external power supply connection follows the Arduino UNO standard, with a DC barrel jack accepting voltages from 7V up to 20V (up to 12V is recommended). The board also offers an additional external power supply input with a terminal block with screws, allowing use of other types of power supplies that don't have a DC barrel plug. 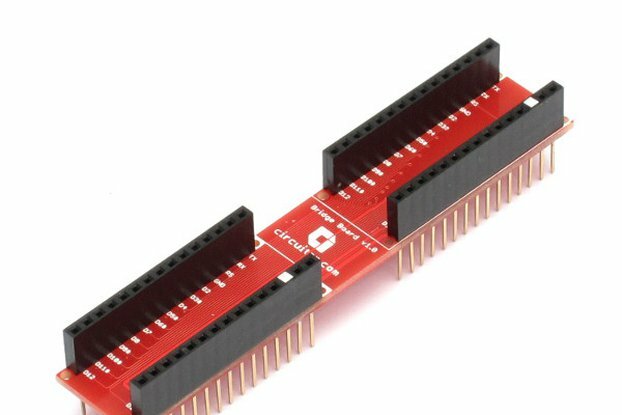 It is also possible to connect an on/off switch to the two-pin male header besides the DC barrel jack (it comes with a jumper by default). 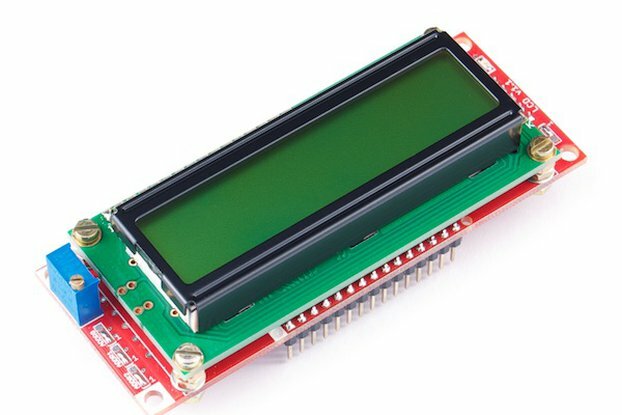 Software development can be done in the same way as it is done in an Arduino Uno. 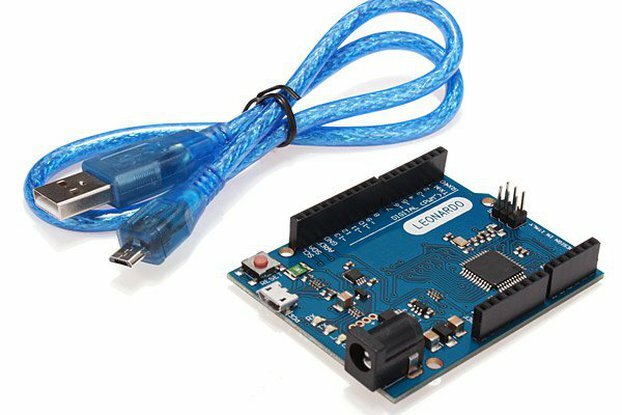 To upload your sketch, select the Arduino UNO board in the Arduino IDE. 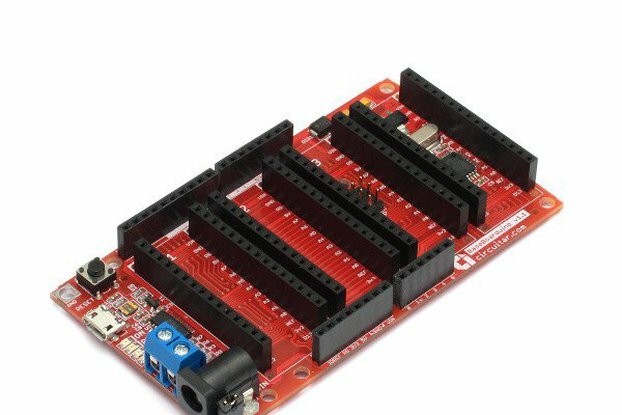 To get started with the Base Boarduino using the Arduino IDE, you can follow the Getting Started Guide in the Arduino website. 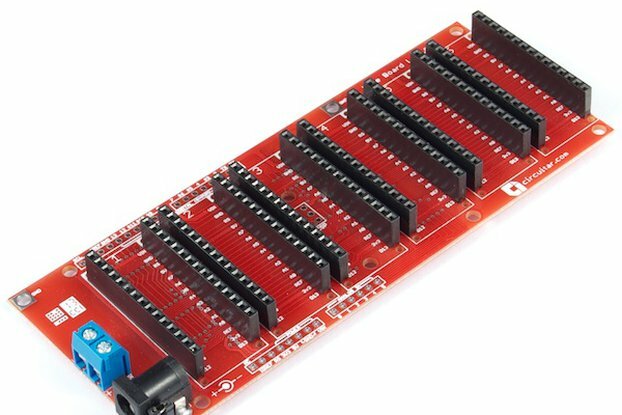 If you want a more compact option with less slots, check out the standard Base Boarduino.